It took Antonio a year to get the international approval and permits he needed to work in Champs Les Sims, which was fine with Aaliyah because she got to finish her film work and settle all the things that needed settling. By the time moving day rolled around, Rae was three years old and as precocious as any small child was. Antonio found himself wrapped around her little finger, but he definitely was not complaining. “Babe, the point of having a personal jet is that we’re the only ones on it. If we’re late, they’ll wait. Hmm, that’s a good slogan.” Aaliyah grinned at him and adjusted her sunglasses. 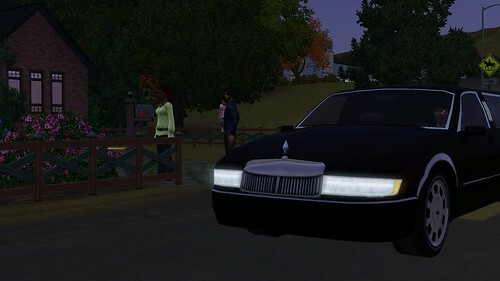 Antonio laughed and helped Aaliyah into the car. He checked on Rae in the backseat, but she was out like a light. The poor thing had worked herself up into a frenzy with all the excitement going on around her that morning. He got into the car and drove to Appaloosa International Airport. 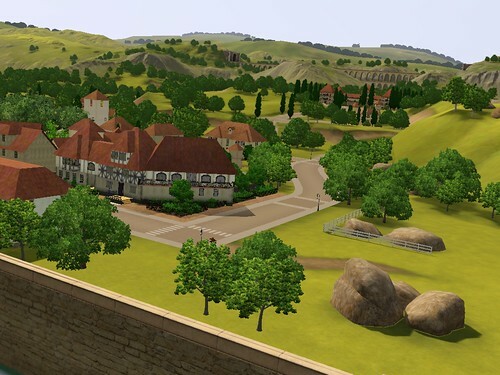 “I’d forgotten how beautiful it was in France.” Aaliyah leaned out the window and looked down at the town they were fast approaching. Antonio leaned over her and looked out too. “Yeah, the view is gorgeous.” He kissed Aaliyah and sat back in his seat. Ruffling Darling’s short fur, he continued writing up the draft of his letter to the special merchant. He needed to get a jump-start on this project and wanted all the materials shipped in as soon as possible. “Mommy, we there yet?” Rae asked groggily, waking up from her nap. “We are, sweetie. How are you feeling?” Aaliyah leaned over to check on the toddler’s seat belt and to brush her hair out of her face. “Ok.” Rae closed her eyes again and started humming to her doll. Antonio had a strong suspicion that his baby girl would take after her mother and very soon start speaking to herself. He smiled at that thought and went back to writing the letter. 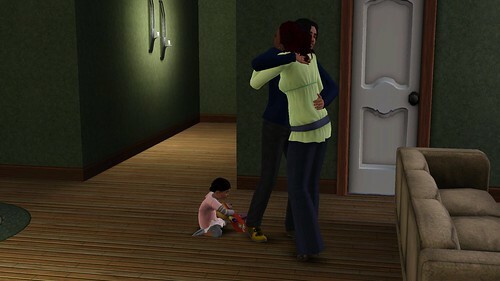 Rae started crying then and Aaliyah made her way to the front door, trying to soothe the baby. Antonio knew how Rae felt; he was starving and tired too. He turned around to go back to the limo to grab the baby bag and his briefcase. The rest of their luggage had arrived earlier and was in the house. He was not looking forward to unpacking. Antonio woke up with Aaliyah shaking him. Grabbing her arms, Antonio gently pushed her away from him. He sat up and looked into Aaliyah’s terrified eyes. In all the years they’d been together, the memory had never been so bad to wake her up. Oh, he’d had the dream plenty of times before, but each time he’d manage to wake himself up before it disturbed his wife. Aaliyah knew his past, but he never told her how bad the dreams could get, never saw a reason to. Now she stared at him with huge eyes and he didn’t know what to say. “Has it been this bad before?” Aaliyah reached over and brushed hair out of his face. He snagged her hand and pulled her toward him. Aaliyah hugged him one more time and then let go and lay back in bed. She stared up at him as he pushed the covers back and got out of bed. During the day, Antonio spent his time in the study, drawing up designs and sketches. Every now and then, Aaliyah or Rae would come in with food or something to drink – Aaliyah in a mug and Rae in her Sippy cup. However, he was always too busy to spend much time with his family. Aaliyah would take trips to the market or the museums, mostly to keep out of Antonio’s way and to keep herself sane, he supposed. Antonio stopped typing and shutdown his laptop. Rubbing his eyes, he left his office and made his way to the kitchen. It was eerily quiet. Aaliyah had taken Rae to see the Eiffel Tower, something he’d promised to do since they got to France months ago. 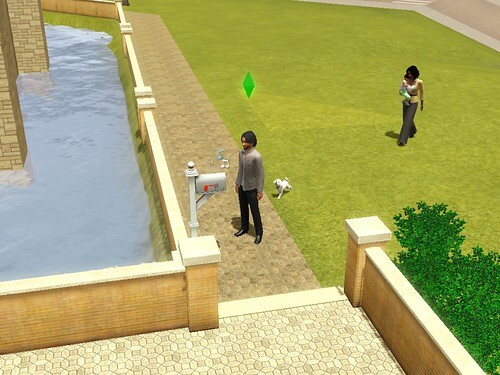 He needed to spend some quality time with his family or there might be a revolt. “I’ll cook dinner and we can all sit and enjoy a nice meal together.” Antonio groaned – he was starting to talk to himself too. 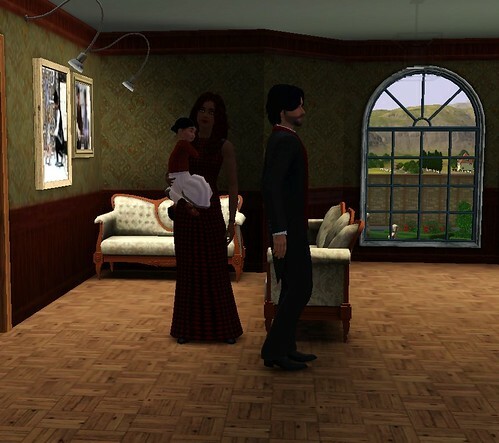 On his way to the kitchen, the front door opened and Aaliyah walked in with Rae in her arms. “Of course.” Antonio stopped walking towards the door and turned to look at his wife. “And I told her I would stay for an extended visit.” Aaliyah looked over at Antonio, her eyes searching his. “I didn’t promise very long. Six months at the most.” Aaliyah shifted the toddler to her other arm. Antonio took the child from her. Aaliyah just looked up at him. She knew him so well, knew that eventually he would cave. “Fine, you can stay for six months but I’ll have to get back here after the third month. That’s the best I can do sweetheart,” Antonio added when he saw her start to frown. Darling barked and wagged her tail. Rae squirmed to get out of Antonio’s arms and went straight for Darling. Then began The Game. Rae would chase Darling and the dog would stay just out of reach. It usually ended with Darling letting Rae eventually catch and squeeze her to death. Both Rosie and Aaliyah loved that game. Antonio felt a little envious of the dog. In September, the Torres family found themselves in Cape Verde for the 30th Wedding Anniversary of Aaliyah’s parents. Antonio was a little anxious to see his in-laws again. Antonio loved being around Aaliyah’s family, they were so loving and open, something he didn’t expect when he first met them. For a royal family, Ijeoma and Adejola had done a great job in raising their kids to be normal people. None of them made a big deal about being royalty and they lived and worked just like anyone else. Bem, the crown prince, was as close as Antonio had ever gotten to having a best friend. They had the most in common and Aaliyah would sometimes joke that he married her to get a Sports buddy. After serving in the military, Bem became a Forensic Scientist. Aaron was a self-described philosopher and the only person who could get away with calling him Tony. In fact, Aaron was the only person who had bothered to give him a nickname, everyone else called him Antonio; even his parents had never given him a nickname. Aaron was still in the military and was thinking about making a career out of it. Then there was Kandera. She was a singer, and Antonio had to admit, she was very good. He didn’t know what kind of person she was, since he rarely spoke to her, however, she called almost every week to speak to Rae and Aaliyah. Aaliyah’s family was as diverse as a family could be, but they were a close unit and he was grateful to be considered a member of the clan. “Us versus Brazil, 2 to 1.” Bem turned to look at Aaliyah. Antonio couldn’t stop laughing. Aaliyah knew just what to say and do to make her brothers uncomfortable and she did it as often as she could. “Look at you, talking like a man still in love. You sound like Pop. Now it’s just me in this wolf pack.” Bem grabbed a beer from the table and handed it to Antonio. Antonio glanced at him and raised an eyebrow, but said nothing. 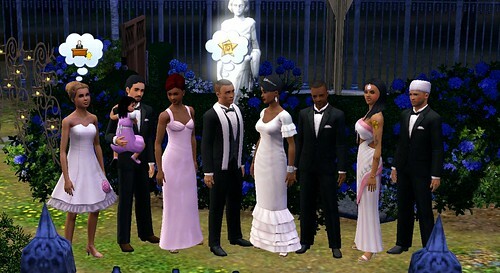 The day of the Vow Renewal Ceremony was perfect. It was a gathering of family and close friends and Ijeoma and Adejola were obviously still very much in love. Ijeoma insisted that she take pictures with every single person who came to the ceremony, which meant they were there for a very long time. Antonio had no complaints, however, as he spent the time dancing with his wife and daughter and laughing with Bem. He hadn’t realized how much he missed talking to people he considered family. Granted, he had Aaliyah, and that was more than enough blessings for him. But hanging out with Bem while joking about who his mother-in-law’s next photo victim would be filled a void in his soul that he didn’t know he had. He would make it a point to be with his extended family more often. If he felt this way, he couldn’t imagine how Aaliyah must be feeling. The months seemed to fly by and soon Antonio had to say goodbye to Aaliyah and Rae. He’d been away from them before, but each time felt like the last and he ended up really late for his flight. The next couple of months were going to be brutal. Once Antonio landed in France, he was on the phone with Aaliyah. He made sure everything was okay and then he hung up to call his contacts in town. Ten weeks later, Antonio walked into the bedroom that he and Aaliyah shared at her parent’s home. He stopped to look at her sleeping for a bit before getting ready to go to bed. He’d caught a red eye flight from Champs Les Sims so he could surprise Aaliyah. She thought he would land in the morning. Antonio walked over and took her hands, leaning in to kiss Aaliyah’s tears away. Antonio laughed again and kissed her. Then he grabbed his wife’s hand and they went to bed. The next few days were spent catching up on each other’s lives and making plans to go back to France for a few more weeks. Antonio’s project was three weeks away from completion and he wanted to meet with the town officials to discuss the grand opening. After that, they sat in silence for a bit, just enjoying each other’s company. Yay! Baby number 2! They are such a great couple…love it!